I surfed at this beach when I went to college in Charleston. This is not the type of story you like to hear and lucky no one was actually hurt. 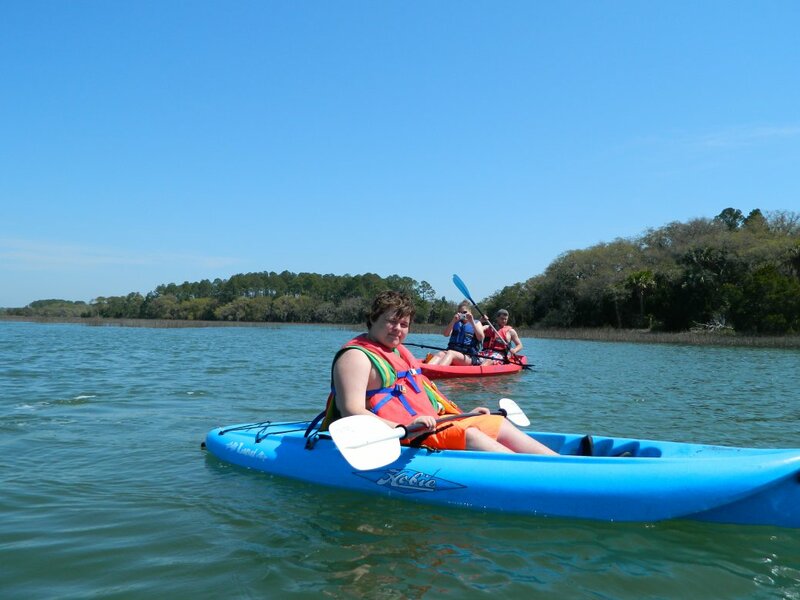 These beach is very popular with the surfers and provides descent waves because of the river’s channel running along the beach making it a shallow to deep fast compared to Hilton Head where is stays shallow further out. 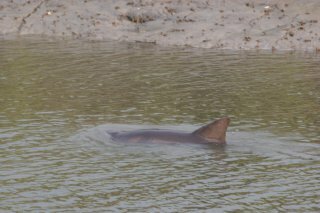 Bull Sharks are found through out the world in coastal areas and has even been found in certain fresh water rivers around the world. An 8-foot bull shark bit a boy’s surfboard during a competition on Folly Beach, but the 10-year-old boy was able to swim to safety. The Post and Courier of Charleston reports (http://bit.ly/19cuqTA ) the boy was able to escape Sunday when he unhooked his leash. Two other surfers swam out and helped the boy to shore. Nancy Hussey is a director of the Southern South Carolina District of the Eastern Surfing. She says she saw the scene unfold and thinks the shark got tangled in the leash. After the attack, contest workers cleared the water and the remaining competitions were postponed until next month. Bull sharks are known for their aggression and swimming in warm, shallow waters. But officials say such attacks in the area have been rare. An interesting Shark tale in the paper the other day which to share with you since we see small sharks feeding along the banks in the creeks. COLUMBIA — Scientists have discovered a new species of shark in the ocean off South Carolina and have named it for the region where it was found. The “Carolina hammerhead,” thought to reach 11 feet long and weigh about 400 pounds, has been identified cruising the waters of St. Helena Sound near Beaufort, Bull’s Bay north of Charleston, and in the Charleston harbor. William “Trey” Driggers is pictured with a Carolina hammerhead. Biologists suspect these hammerheads occur worldwide, since evidence of them has been found in the past from Brazil to the Indian Ocean. The number of Carolina hammerheads is thought to be small, however. “It is a distinct species,” said William “Trey” Driggers, a marine scientist with the National Oceanic and Atmospheric Administration’s fisheries division. 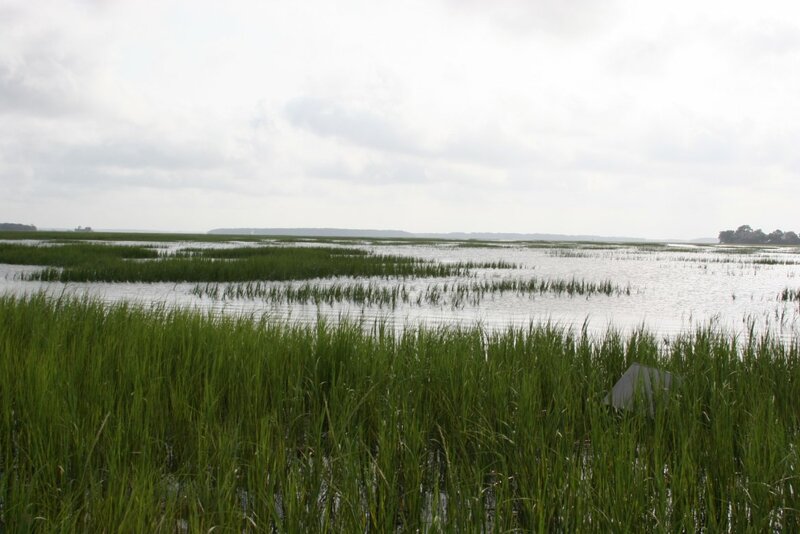 Driggers, a 45-year-old Sumter native and Clemson University graduate, was among a team of scientists with NOAA, the University of South Carolina, the University of New Orleans and the S.C. Department of Natural Resources that made the discovery after more than a decade of research. Much of the work was done in the laboratory of USC professor Joseph Quattro, he said. Veterinarians in Columbia also collaborated on the discovery. Driggers said it’s almost impossible to tell the difference between a Carolina hammerhead and the well-known scalloped hammerhead — except for one major distinction: The newly identified species has fewer vertebrae than their cousins. Carolina hammerheads have 83 to 91 vertebrae, while scalloped hammerheads have 92 to 99 vertebrae. While the distinction between scalloped and Carolina hammerheads is subtle, NOAA officials say it’s significant to the conservation of the species. Scalloped hammerhead numbers are dwindling in some areas, so Carolina hammerhead numbers would be even fewer, they said. Evidence of a hammerhead with fewer vertebrae dates to a single reference in a 1967 research paper, but only in the past decade have scientists obtained more detailed information. Some 56 sharks used to identify the Carolina hammerhead were all collected off the South Carolina coast. Carolina and scalloped hammerheads are the second largest sharks found in Palmetto State waters, behind the great hammerhead. The animals are distinguished by their wide, anvil-like heads. Another recent sad news article I read about our favorite water creatures we enjoy seeing. Bottlenose dolphins are washing up dead in unusually high numbers along the U.S. East Coast this summer—a “very alarming” situation that has experts scrambling to decipher the cause. Nearly 120 corpses have washed ashore in coastal states from New York to Virginia in July and the first week of August, which is much higher than the normal number of strandings attributed to natural deaths. Virginia has had the highest mortality, with 64 animals found during that period. One of the dolphins tested positive for morbillivirus, a measles-like, airborne virus that’s often fatal in dolphins. Trained responders examine a dead male dolphin on Ocean View Beach in Norfolk, Virginia, on August 1. A morbillivirus epidemic hit East Coast bottlenose dolphins in 1987 and 1988, wiping out at least 900 animals and striking a major blow to that population of migratory dolphins. “Because of the sheer number of animals [dying] over multiple states, people are very concerned that this might be a repeat,” said Trevor Spradlin, a marine mammal biologist for the U.S. National Oceanic and Atmospheric Administration’s (NOAA) National Marine Fisheries Service. Several potential causes of death being investigated include other diseases or pathogens caused by viruses or bacteria; biotoxins caused by harmful algae blooms; pollution or chemicals, especially from concentrated spills; ship strikes; or acoustic trauma from ships or other infrastructure, he said. The spike follows a general trend in more dolphin strandings—or, in scientific speak, unusual mortality events—that have occurred in recent decades in the United States. The “concern is we’re doing more and more to protect dolphins from harm, yet dolphin strandings are on the rise,” said Matthew Huelsenbeck, a marine scientist at the nonprofit Oceana. But many are working to find out. For example, NOAA has a stranding network of experts who report and collect the corpses of recently deceased dolphins in an effort to determine causes of death. A corpse is first taken into the lab for evaluation and basic triage to see if it has any visible marks that may point to the cause of its demise. Next, a tissue sample is taken and tested for viruses, which could identify a direct cause. Then there’s a longer-term investigation that involves testing blubber and organs, such as kidneys, for traces of heavy metals. Studies have shown that stranded dolphins have heavy metals in their systems. Pneumonia often occurs in dolphins with low immunity. “Just like in humans, if you have certain afflictions affecting your immune system, you’re more susceptible to pneumonia,” he said. What’s more, he noted, most of the East Coast dolphin deaths have occurred in areas with heavy human footprints, like the Chesapeake Bay. Gregory Bossart, the Georgia Aquarium’s chief veterinarian and pathologist, has been studying the impact of infectious disease and pollutants on bottlenose dolphins in Florida’s Indian River Lagoon (map) for several years. He’s found that many of the lagoon’s dolphins carry toxic mercury at 20 times the level permitted in human food by the U.S. government. Even so, Bossart cautioned that no one should jump to the morbillivirus conclusion for the current East Coast deaths before all the information is in—much more pathology work needs to be done in the lab. “The possibilities are wide open,” he said. Overall, the experts pointed out that the dead dolphins may be alerting us to troubles in our oceans. Said NOAA’s Spradlin, “Marine mammals are like the canary in the coal mine”—many bottlenose dolphins live on the same coasts and eat the same fish that we do. Came across an article in Kayak Fishing Magazine and wanted to share it with you. 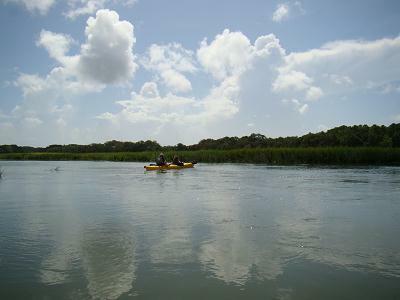 It is good for all to know the rules when it comes to the Coast Guard and Kayak fishing. Article below. 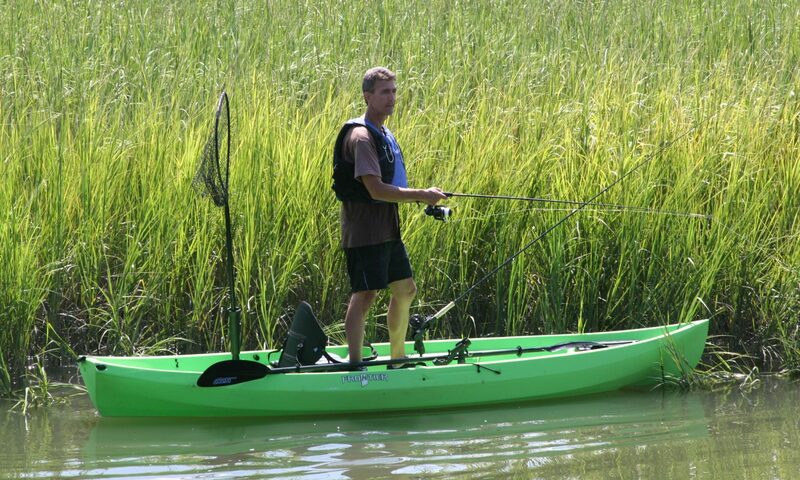 For many of us, the encroaching warmth of summer signifies a seasonal increase in kayak angling opportunities. With the longer and brighter days, however, come tales of tragic and often preventable on-water disasters. For seasoned veterans and first time boaters alike, it is always a good idea to review the rules and regulations put forth to ensure our safety. The time is also right for kayak anglers to take stock of their existing safety gear, and to make sure that it is in top condition. A few minutes spent in preparation can truly make a world of difference on the water. The rules governing navigation and navigable waters within the United States are governed by Title 33 of the Code For Regulations (CFR). 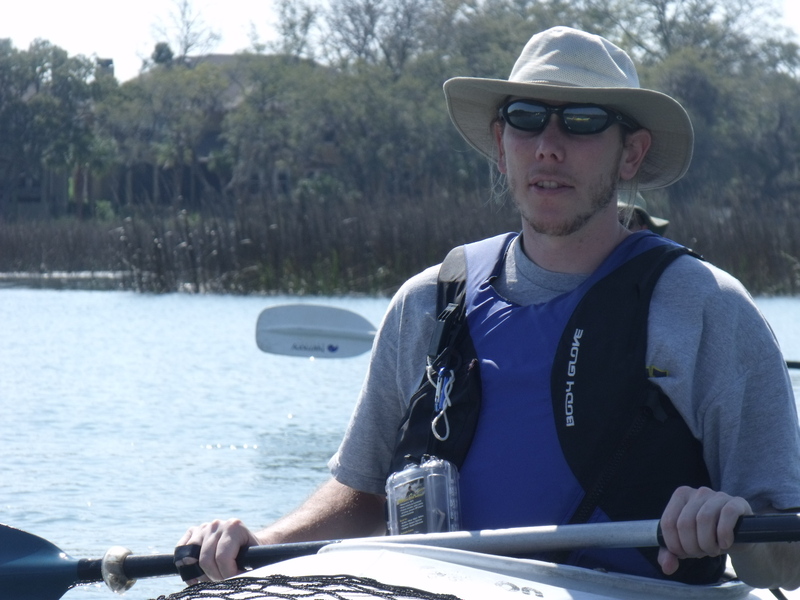 Here is a list of equipment required while you are on the water kayak fishing. A Personal Floatation Device (PFD) in good serviceable condition (see Title 33 CFR 175.15). A Sound Producing Devices such as a whistle or horn (see Title 33 CFR 83.33). “An electric torch or lighted lantern showing a white light which shall be exhibited in sufficient time to prevent collision” (see Title 33 CFR 83.25). Visual Distress Signals at the very least suitable for night use if out between sunset and sunrise (see Title 33 CFR 175.110) if your kayak is less than 16 feet. The specific sections of Title 33 CFR referenced above are linked to the actual wording included below. § 175.15 Personal flotation devices required. (b) No person may use a recreational vessel 16 feet or more in length unless one Type IV PFD is on board in addition to the total number of PFDs required in paragraph (a) of this section. (2) Below decks or in an enclosed cabin. (3) The PFD is used in accordance with requirements in its owner’s manual, if the approval label makes reference to such a manual. (b) Canoes and kayaks 16 feet in length and over are exempted from the requirements for carriage of the additional Type IV PFD required under § 175.15(b). (c) Racing shells, rowing sculls, racing canoes and racing kayaks are exempted from the requirements for carriage of any Type PFD required under § 175.15. 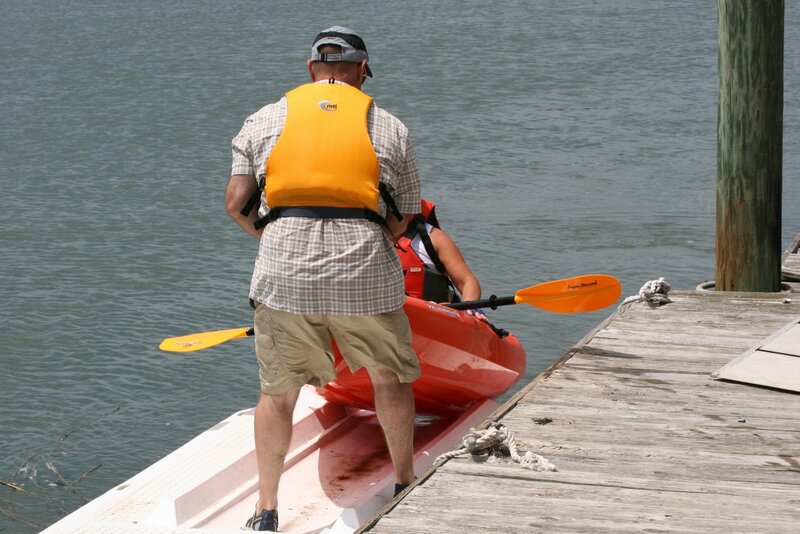 (d) Sailboards are exempted from the requirements for carriage of any Type PFD required under § 175.15. (e) Vessels of the United States used by foreign competitors while practicing for or racing in competition are exempted from the carriage of any PFD required under § 175.15, provided the vessel carries one of the sponsoring foreign country’s acceptable flotation devices for each foreign competitor on board. § 175.21 Condition; size and fit; approval marking. (c) Legibly marked with its approval number, as specified in 46 CFR part 160. (2) Webbings or straps used to secure the PFD on the wearer that are ripped, torn, or which have become separated from an attachment point on the PFD; orbr/>(3) Any other rotted or deteriorated structural component that fails when tugged. (3) Loss of buoyant material or buoyant material that is not securely held in position. (5) Inflator status indicators that are not broken or otherwise non-functional. (d) The inflation system of an inflatable PFD need not be armed when the PFD is worn inflated and otherwise meets the requirements of paragraphs (a) and (c) of this section. § 83.25 Sailing vessels underway and vessels under oars (Rule 25). (b) Sailing vessels of less than 20 meters in length. In a sailing vessel of less than 20 meters in length the lights prescribed in paragraph (a) of this Rule may be combined in one lantern carried at or near the top of the mast where it can best be seen. (c) Additional lights. A sailing vessel underway may, in addition to the lights prescribed in paragraph (a) of this Rule, exhibit at or near the top of the mast, where they can best be seen, two all-round lights in a vertical line, the upper being red and the lower green, but these lights shall not be exhibited in conjunction with the combined lantern permitted by paragraph (b) of this Rule. (d) Sailing vessels of less than 7 meters in length; vessels under oars. (1) A sailing vessel of less than 7 meters in length shall, if practicable, exhibit the lights prescribed in paragraph (a) or (b) of this Rule, but if she does not, she shall have ready at hand an electric torch or lighted lantern showing a white light which shall be exhibited in sufficient time to prevent collision. (2) A vessel under oars may exhibit the lights prescribed in this Rule for sailing vessels, but if she does not, she shall have ready at hand an electric torch or lighted lantern showing a white light which shall be exhibited in sufficient time to prevent collision. (e) Vessels proceeding under sail. A vessel proceeding under sail when also being propelled by machinery shall exhibit forward where it can best be seen a conical shape, apex downward. A vessel of less than 12 meters in length is not required to exhibit this shape, but may do so. § 83.33 Equipment for sound signals (Rule 33). (a) Vessels of 12 meters or more in length. A vessel of 12 meters or more in length shall be provided with a whistle and a bell and a vessel of 100 meters or more in length shall, in addition, be provided with a gong, the tone and sound of which cannot be confused with that of the bell. The whistle, bell and gong shall comply with the specifications in Annex III (§ 86.05) to these Rules. The bell or gong or both may be replaced by other equipment having the same respective sound characteristics, provided that manual sounding of the prescribed signals shall always be possible. (b) Vessels of less than 12 meters in length. A vessel of less than 12 meters in length shall not be obliged to carry the sound signaling appliances prescribed in paragraph (a) of this Rule but if she does not, she shall be provided with some other means of making an efficient sound signal. § 86.05 Sound signal intensity and range of audibility. (c) 250-2100 Hz, for a vessel 12 meters but less than 20 meters in length. Note. The range of audibility in the table above is for information and is approximately the range at which a whistle may usually be heard on its forward axis in conditions of still air on board a vessel having average background noise level at the listening posts (taken to be 68 dB in the octave band centered on 250 Hz and 63 dB in the octave band centered on 500 Hz). § 175.110 Visual distress signals required. (a) No person may use a boat 16 feet or more in length, or any boat operating as an uninspected passenger vessel subject to the requirements of 46 CFR chapter I, subchapter C, unless visual distress signals selected from the list in § 175.130 or the alternatives in §175.135, in the number required, are onboard. Devices suitable for day use and devices suitable for night use, or devices suitable for both day and night use, must be carried. 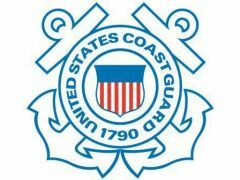 (b) Between sunset and sunrise, no person may use a boat less than 16 feet in length unless visual distress signals suitable for night use, selected from the list in § 175.130 or § 175.135, in the number required, are on board. § 175.130 Visual distress signals accepted. (1) An electric distress light meeting the standards of 46 CFR 161.013. One is required to meet the night only requirement. (2) An orange flag meeting the standards of 46 CFR 160.072. One is required to meet the day only requirement. (3) Pyrotechnics meeting the standards noted in Table 175.130. (b) Any combination of signal devices selected from the types noted in paragraphs (a) (1), (2) and (3) of this section, when carried in the number required, may be used to meet both day and night requirements. Examples —the combination of two hand held red flares (160.021), and one parachute red flare (160.024 or 160.036) meets both day and night requirements. Three hand held orange smoke (160.037) with one electric distress light (161.013) meet both day and night requirements. 1 These signals require use in combination with a suitable launching device approved under 46 CFR 160.028 . 2 These devices may be either meteor or parachute assisted type. Some of these signals may require use in combination with a suitable launching device approved under 46 CFR160.028 . 3 Must have manufacture date of 1 Oct. 1980 or later. Launchers manufactured before 1 January, 1981, which do not have approval numbers are acceptable for use with meteor or parachute signals listed in Table 175.130 under § 175.130 as long as they remain in serviceable condition. A recent article about putting to use the sometimes abundant pest which drift with our currents. We see them in the creek and wash up on the beach when walking along the shore. And there are a few of us who have been on the wrong end of the stingers. But what are they good for or is there demand for them? A recent article answers some questions but raises others. Articles below. A seafood processing company would bring as many as 250 jobs to the Beaufort area under a plan that would rehabilitate the Port Royal shrimp docks and build a processing plant in Gardens Corner. “Our goal is to create a fishing area the town of Port Royal can be proud of,” Millenarian Trading Co. representative Steven Giese told Port Royal Town Council during a work session Wednesday night. The project, code named “Operation Blossom,” was first referenced by town manager Van Willis during a meeting in February. On Wednesday, he said council is considering a five-year lease for the docks. The property is owned by the S.C. State Ports Authority and will be given to the town in a swap, if the Port of Port Royal is sold to a developer. In the meantime, the town has an agreement to run the shrimp docks. Under the terms of the town’s lease with the ports authority, such an operation is allowed, Willis said. 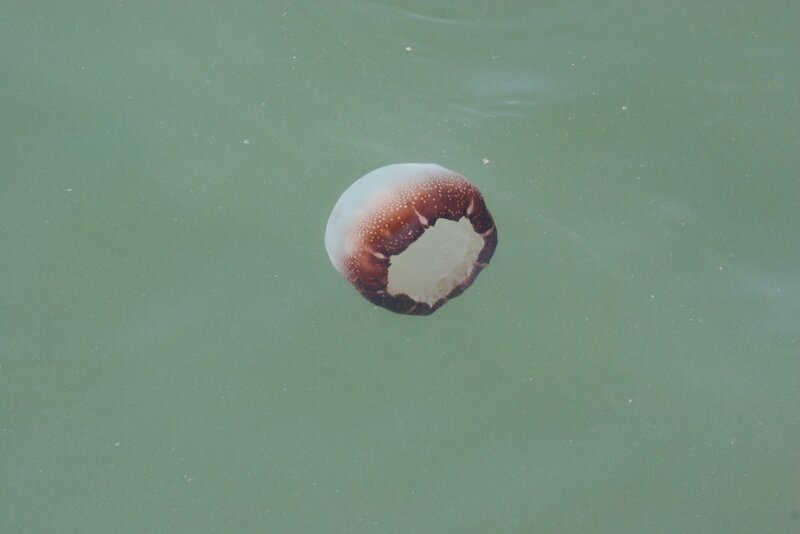 The hope is to reach an agreement quickly so Millenarian can start fishing for Cannonball jellyfish, also called jellyballs, before the end of their season in May, Giese said. 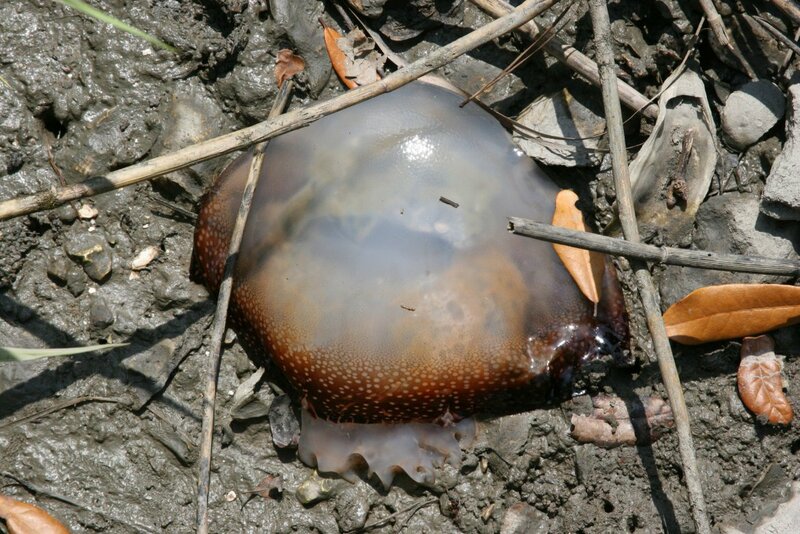 The Beaufort/Port Royal area is near the end of the migration route for the fish, so the jelly fish are large and plentiful in the area, he said. The season starts up again in November, providing time for repairs to docks and to get ready for increased fishing and processing. Since jellyball season is opposite shrimp season, it will provide income opportunities for shrimpers during what is typically a slow period, Giese said. The company will also process blue crabs, whelks, conches and other seafood. The seafood will be brought into the Port Royal shrimp dock and prepared for shipping to the processing plant. Land has already been purchased in Gardens Corner, Giese said. Within 18 to 24 months, Giese expects the operation to employ between 150 to 250 people, most at the processing plant. The salt-drying of the jellyballs is very labor intensive, he said. He said he has already started interviews for management positions. Giese said the intent is not to compete with local, established seafood companies. He hopes to improve their businesses through networking and a better seafood industry. “I think this will set a new model for the fishing industry up and down the coast,” he said. An overnight curfew and no-trucking hours during high-traffic times in the morning and evening. Special trucks designed to prevent leaks from seafood containers during transport to the processing plant. Substantial renovations to the shrimp docks and market. Assistance retrofitting boats for catching jellyfish, which can cost between $3,000 to $4,000 per boat. Dolphins have names as well? Came across an interesting article the other day and wanted to share it with you. So many have a fascination and would like to see the dolphins while on vacation. Who would have known that familiar dolphin call each other by name. We have a pod or family which likes to come in the creek to feed. If we were to stick our head under water like at the beach or when we see dolphins in the creek, you can hear clicking sounds. Not only are they talking too each other but also looking for fish and maybe calling out to you so see if you answer back. NuCanoe will officially be announcing the new 10′ Frontier in the coming weeks. More marketing information will follow then, but they gave us the OK to mention it coming since it is in the new price list. Based off popular setups and many customer request. NuCanoe has re-added fishing package setups to the order catalog based off some popular setups. You can view these setups in the PDF catalog list below and the prices are in the Rev 2013 Price List. The Prices and accessories we offer through NuCanoe is below. Since there are so many options, we can help walk you through and setup a custom boat to fit your needs. The packages can be added to Frontier 10 & Frontier 12 models in any color. Boats and accessories still ship separately, so “assembling” the packages on the boats is up to you. Packages require no drilling, screwing, or cutting to install – nothing is permanent. Packages offer a choice of color for Max 360 Seats and style for rod holders – spinning, fly, or tube. Some good news and an update to the story along the coast, story below. State officials scoured the Lowcountry coast by air late last week but did not find other stranded whales like the one that swam ashore and later died on Hunting Island.The short-finned pilot whale that beached itself Thursday in the Fripp Inlet, between the Hunting Island pier and the bridge to Fripp Island, was one of three found stranded last week. 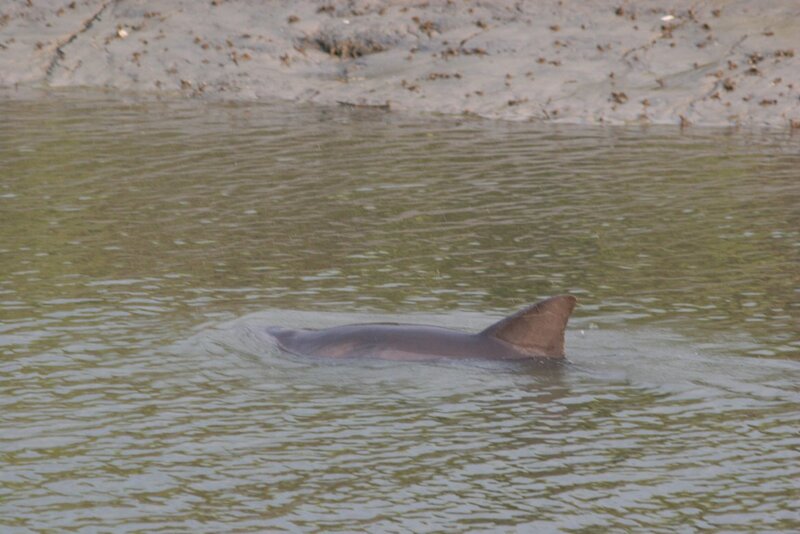 Pilot whales also swam aground on Edisto Beach and the Story River on Fripp Island. The S.C. Department of Natural Resources surveyed the waters between Fripp and Bulls Bay, near Charleston, on Friday but saw no other stranded animals. However, three other pilot whales have been reported in the St. Helena Sound area, and more strandings are possible, according to National Oceanic and Atmospheric Administration biologist Wayne McFee. As of Monday, none of the necropsies, or animal autopsies, on the three whales had produced an explanation for their behavior. Scientists should have a better idea of what went wrong when pathology test results are available, but that could take weeks or even months, McFee said. None of the three juvenile males had food in their stomachs, so it’s likely they had not eaten in a while, McFee said. The Edisto Beach whale had signs of possible intestinal infection. The Hunting Island whale had some minor parasitism, and the Fripp Island whale was too decomposed to provide many answers. Pilot whales are social mammals that usually live in groups of 20 to 200. The species is known for group strandings, in which one dies and others follow. That usually occurs in the same place, which makes these separated strandings unusual, McFee said. 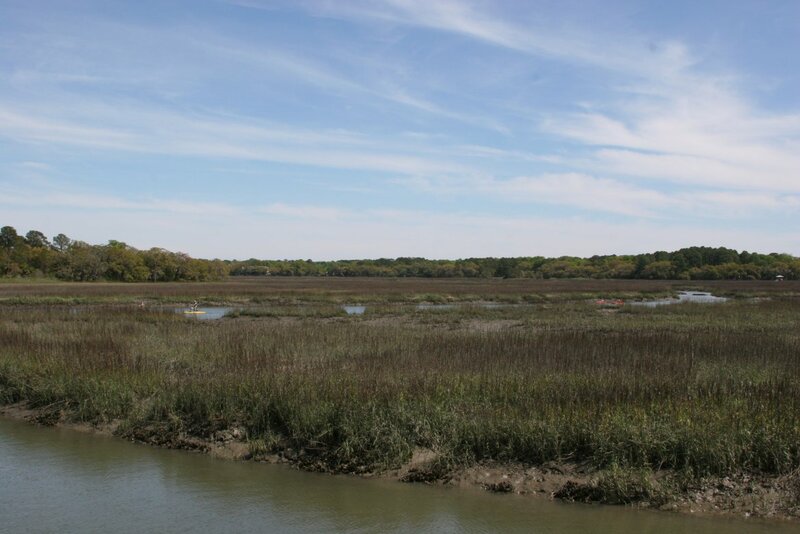 “This area has a lot of interesting currents and inlets that could have separated them, and they get into these marsh situations and they aren’t familiar with marsh and mud and that could have freaked them out,” he said. The last mass pilot whale stranding in South Carolina was in 1974, when about 14 died on the shore of Kiawah Island near Charleston, McFee said. DNR and NOAA officials said people should not approach stranded whales, and pushing them back into the water will not likely prevent them from swimming ashore again and dying. Instead, those who spot stranded whales should call DNR at 800-922-5431. Local students have been help out with a few sad stories in the area, story below. Three University of South Carolina Beaufort biology students have helped respond to three strandings in the past two weeks — one dolphin and two pilot whales — and viewed in real life the bones, muscles and organs they’ve been studying in textbooks.”It is sad, but at the same time it’s interesting. Not many people get to see a whale that close,” said senior Marvin Brown.Brown and seniors Rebecca Rawson and Steven Vega have participated in necropsies, or animal autopsies, alongside National Oceanic and Atmospheric Administration officials. It’s not yet clear what has caused the strandings, or if the strandings are connected. The dolphin was found Dec. 1 at Mitchelville Beach on Hilton Head Island. 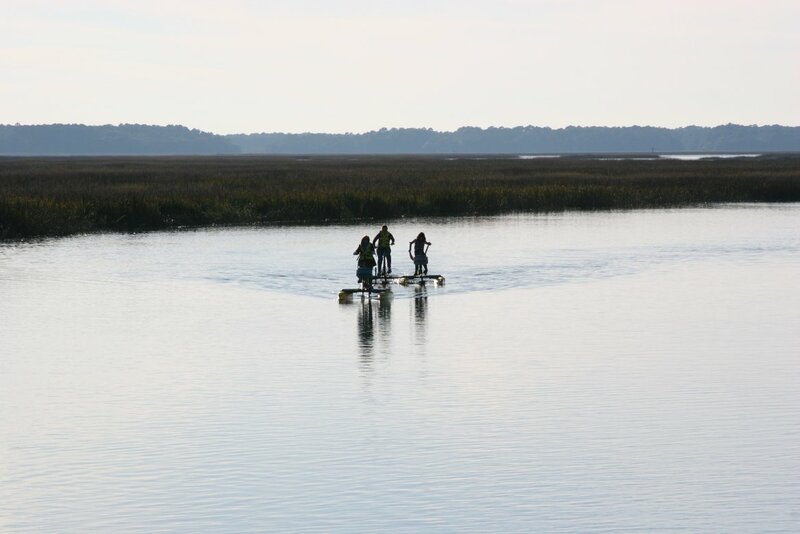 The pilot whales were stranded late last week off Hunting Island and along the Story River on Fripp Island. Rawson said parasites were found in the whales’ lungs and stomachs, but that’s not unusual. Results from tissue samples of organs were still pending Monday, NOAA marine biologist Wayne McFee said. McFee said students occasionally participate in the necropsies, but they’re not usually undergraduates, he said. The partnership with USCB students is recent. Professor Eric Montie worked with McFee at NOAA in the late 1990s and early 2000s. In the past year, the two began to talk about how USCB students could help. Rawson, Vega and Brown have all taken classes with Montie and volunteered to help with strandings. Montie said his students will continue to help by taking measurements of the animals and notes during the necropsies. The students also are working to discover, based on dorsal-fin identification, if the stranded dolphin was a resident of local waters. Montie said he hopes the experience will boost students’ understanding of the marine life they have studied in classrooms and textbooks. Vega said the largest animal he had dissected before encountering the dolphin and whales was a foot-long squid. Both he and Rawson marveled at the size of the larger animals’ organs. Some sad wildlife news has been in the paper lately, story below. In the end, there was nothing to do but handle the body gently.A crane arm extended slowly over the Hunting Island marsh at the Fripp Island Bridge on Thursday evening.Workers slipped the rope over the 13-foot pilot whale’s tail and gave the signal. The glistening black animal slowly rose from the marsh, it’s huge body spinning slowly clockwise as the crane eased it up and over the bridge, before carefully lowering it into a trailer for a final journey to Charleston. The young whale was one of several that beached themselves on Lowcountry shores over the past two days, and researchers are seeking clues to what went wrong. “The more we know about it, then we can try to piece the puzzle together as to why these animals might have stranded,” Wayne McFee, National Oceanic and Atmospheric Administration marine biologist, said. The whale will be examined for signs of infection, illness or other issues that could have lead to the stranding, which are reportedly occurring along the coast from Beaufort to Charleston. “Pilot whales are known for mass strandings, so if you get one, generally the whole crowd is coming,” S.C. Department of Natural Resources veterinarian Al Segars said. The first sign of trouble came Tuesday when a 15-foot whale washed up on the shores of Edisto Beach, Segars said. It died quickly. The necropsy, or animal autopsy, showed the animal had signs of an intestinal infection but it was not clear if that caused the beaching behavior. McFee said officials will have a better idea of what occurred after the results of pathology tests come in. Those results could be weeks to months away, he said. The NOAA is heading up the investigation and was assisted on Hunting Island by volunteers, state park rangers and DNR. Overall, three deaths have been confirmed and several others reported as of Thursday, McFee said. The recent strandings are unusual because the whales typically go ashore in the same place and are not separated by miles, McFee said. The whales migrate through the area, but typically stay 10 to 20 miles offshore, McFee said. The animal who died on Hunting island was a short-finned pilot whale, which has a more southern range than long-finned pilot whales, he said. The last mass pilot whale stranding in South Carolina was in 1974, when about 14 whales died on the shore of Kiawah Island near Charleston, he said. He did not know what caused those strandings. People should resist the natural urge to help the animals. Do not approach stranded whales, McFee said. Instead, residents should call 1-800-922-5431 to report the animals to DNR officials. Segars said there is little to do beyond helping the animals die humanely. If the Hunting Island whale had not died naturally, Segars said it would have been given a injection in the heart. 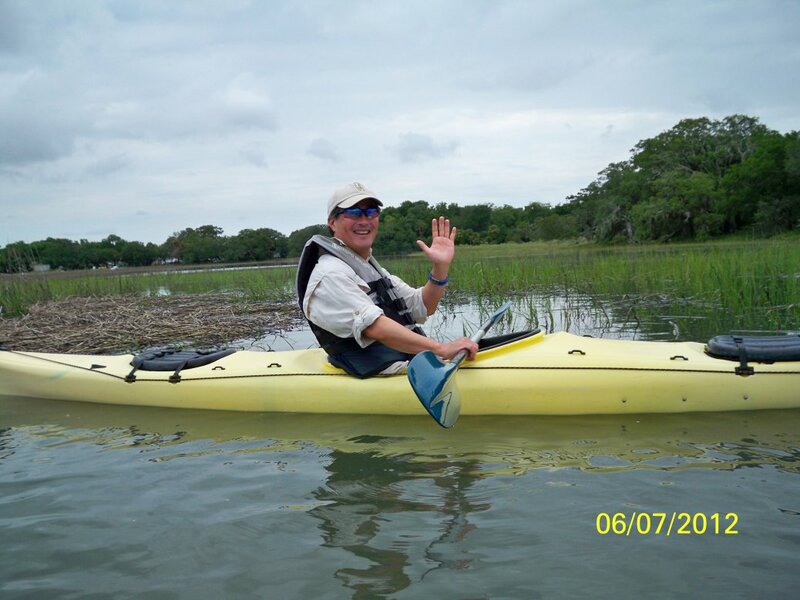 Whit Suber of Fripp Island saw the whale swimming around Fripp Inlet on Thursday morning and thought it was odd because the water there is pretty shallow. When the whale swam up the rocky marsh, Suber, who was on the bridge with his daughter Sarah, 13, knew something was definitely wrong. He stood with his daughter as the whale was removed Thursday evening.